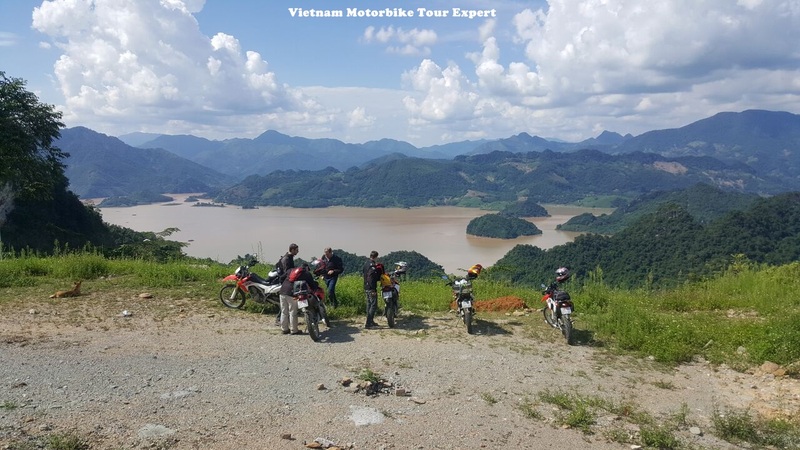 Vietnam Motorbike Tour Expert organize this 11 day tour from Hanoi to Laos via Northwest Vietnam for the ones who would like to visit and compare the difference in culture and nature between Vietnam and Laos. This tour starts and ends in Hanoi but you will different scenery everyday. We’re always looking for something new on our motorbike trips and we’re sure you’ll love this tour. 8:00 AM. 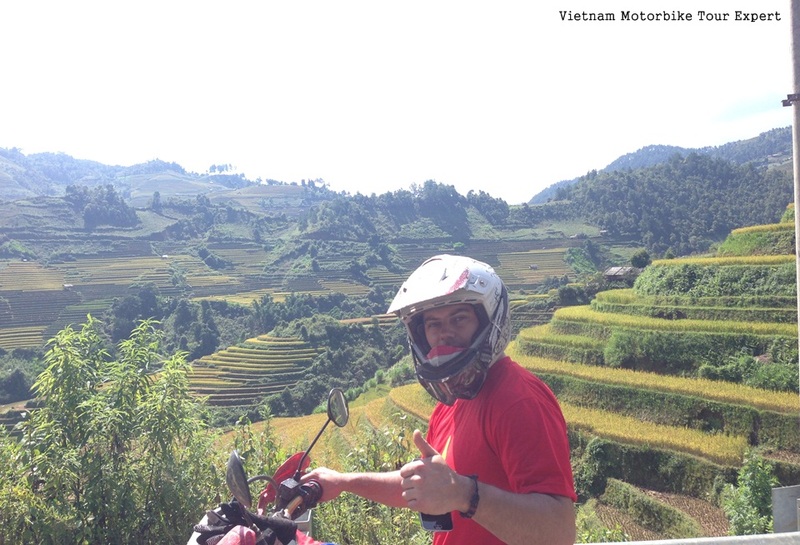 Pick you all up from the hotel in Hanoi then transfer to our shop to start this special Vietnam – Laos motorbike ride. It’ll be mostly on easy paved trails with nice scenery, crossing some beautiful villages of the Thai, Muong people who live in the houses on the stilts surrounded by green plantation. End the first day at Mai Hich village – the quiet villages of the Thai people. Stay in one of the nice stilted house of the local. After breakfast with the family, Start the ride at around 8:30 AM. 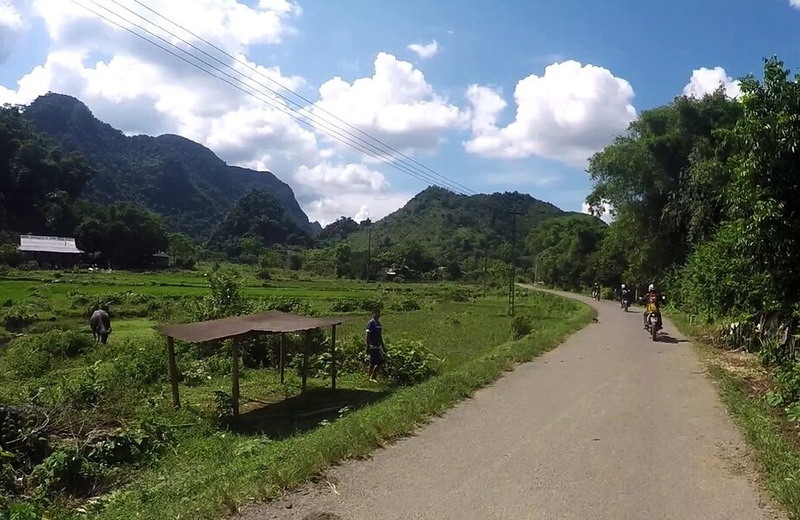 Ride on a beautiful and green trail along the Mai Chau valley and the Ma river. If the weather is not too bad, we can also do some 25km off-road before crossing the Na Meo border gate to get into Laos. The landscape suddenly changed in Laos side, much more quiet road, ride up/down many mountain passes. 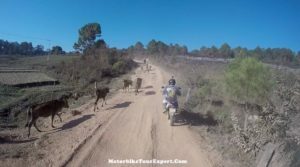 The last 80 km is quite bumpy. End the ride at around 5:00 PM. 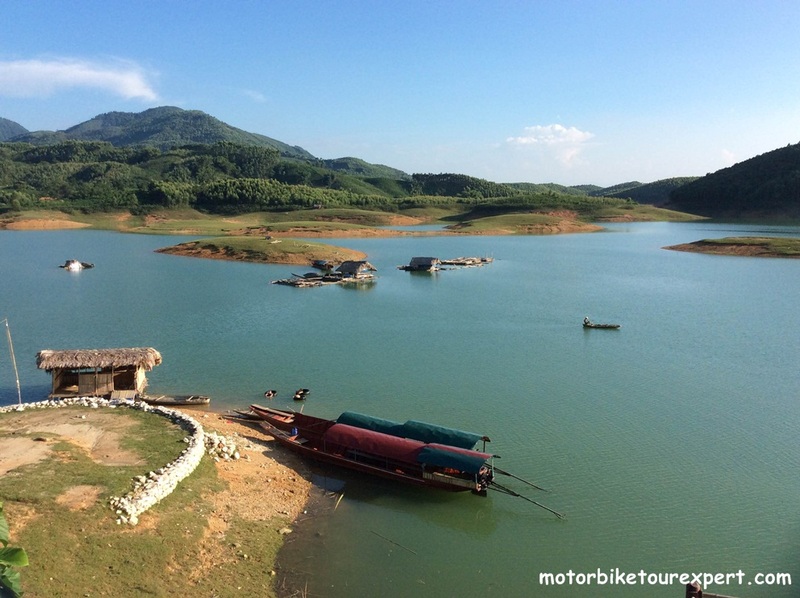 It’s the long day but it’s a memorable day of this Vietnam – Laos motorbike tour. Stay at mini hotel in Sam Nuea. Leaving Samnuea at around 8:30 AM, Continue the beautiful motorbike tour in Laos. We will ride up and down on many scenic passes. Take some easy off-road ride to some village of the local hill tribes along the way. 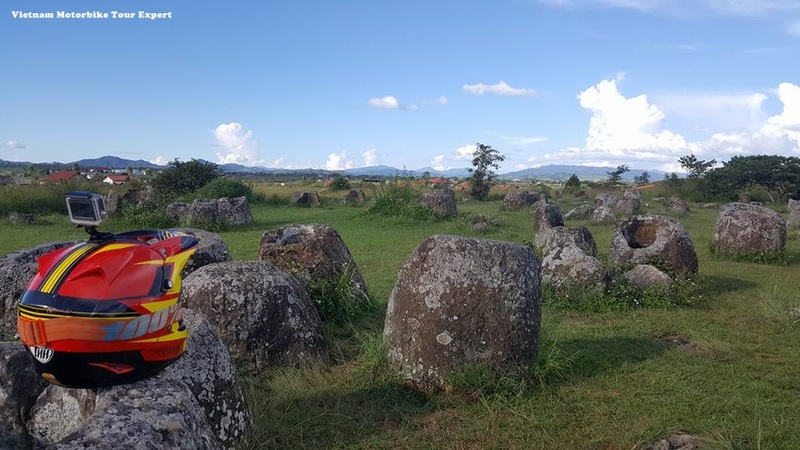 Before arrive in Xieng Khouang, we will pay a visit to the famous Plain Of Jars. Stay in a little hotel in Xieng Khouang. This is the longest and one of the most beautiful day of this 11 day motorbike tour Vietnam – Laos. Start the day earlier at around 8:00 AM. 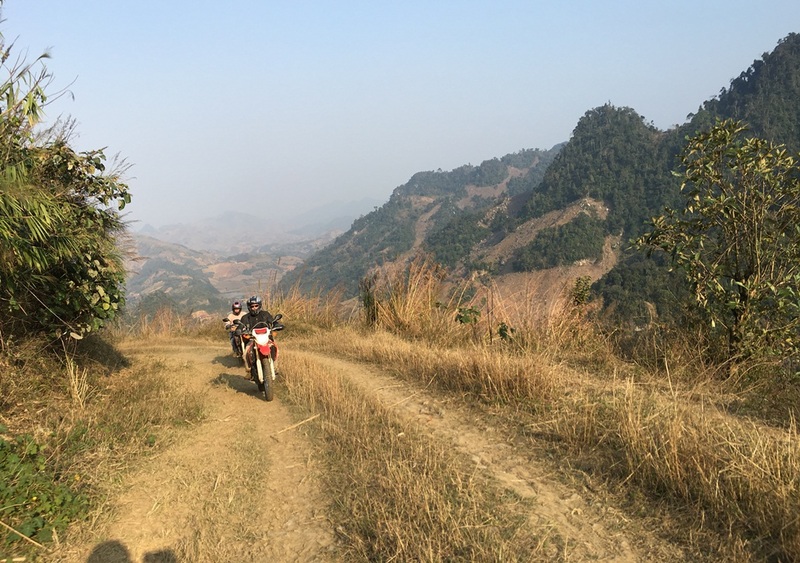 We will ride motorbikes on mostly smooth passes to Luang prabang with beautiful terraces. There will be many stops for photos of beautiful nature and many different local tribes. We will pay some visits to some local tribes to learn more about their daily life and local Laos culture. Arrive late in the afternoon. After some long riding days. It’s the necessary and enjoyable non-riding day of the tour. We’ll spend whole day to relax, wonder around to discover the ancient city of Luangprabang, a nice city with lovely food and plenty of things to visit you can also take a bikes and ride around to see more tribes and waterfalls, pagodas… Meals by your own, feel free to choose your favorite local Laos food. Stay in a hotel. Leaving the beautiful city of Luang Prabang, We continue the motorbike tour to Vietnam with another long day. The route today is a bit busier but still enjoyable with many stops to visit the villages of Hmong & Thai peoples. We will ride along the Mekong river and it’s the highlight of the day. We end the day at the liitle town of Muang Xai, stay overnight in a little hotel. 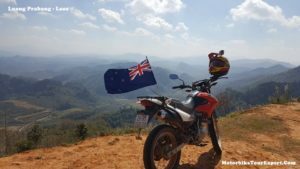 Ending the motorcycle touring in Laos. Today is the relaxing and short day before saying goodbye to Laos. Head to the east where we will cross the border to get back to Vietnam after doing some paperwork. 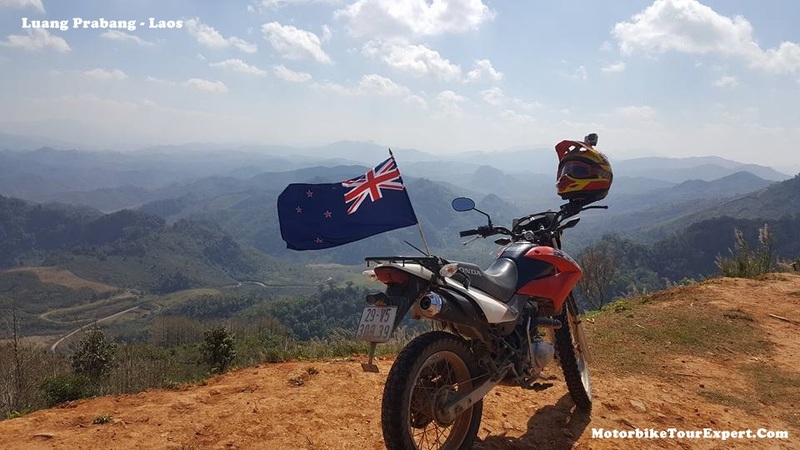 We continue the motorbike touring in Vietnam with the scenic ride all the way down hill through the rustic villages of Thai people before getting down on the flat spectacular valley of Dien Bien Phu. You will see a large and green rice field surrounded by mountains, the ride is pretty easy and we can have some stops and pay visits to the war sites or villages of the local people to learn more about local Vietnamese culture. Stay in a hotel in Dien Bien city. Make a visit to the historical remain of French battle field during the Indochina War. Leaving the city of Dien Bien, we will ride along the Da river on quiet sealed road with beautiful view of mountains and river. 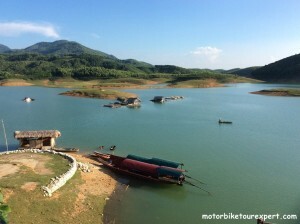 It’s another highlight of this special Laos – Vietnam motorbike tour. After that, we will ride motorbike up and up and up on the scenic pass to Sin Ho. Stay in a small and quiet town of Sin Ho with the height of more than 2000 m above sea level. Another long day of this amazing Vietnam – Laos motorcycle tour. The motorbike ride from Sapa to Thac Ba lake is the mixture of on and off-road riding through many beautiful villages of the Tay, Thai and Dzao people…We will end the motorbike ride at around 3:30 pm at the nice and quiet villages of the Dzao people locating nearby the Thac Ba lake then spend 1.5 hour boat ride around the beautiful and green lake of Thac Ba. Stay and BBQ party with the family of the Dzao people. Leave the family for Hanoi at around 8:00 am. 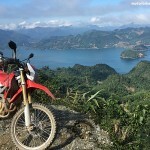 We can do some off-road riding or just ride easily on the smooth back-roads back to Hanoi. We keep riding along the Red river to be away from busy highway. 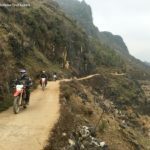 The last 20 km back to Hanoi is the most difficult parts of the tour with busy local traffic but it’s not so bad if you ride carefully and slowly after the guide. End this great Vietnam and Laos motorcycle touring in Hanoi at around 3:30 PM.